Stanford University is one of the most selective graduate programs in the USA making it sought after by the best across the world. 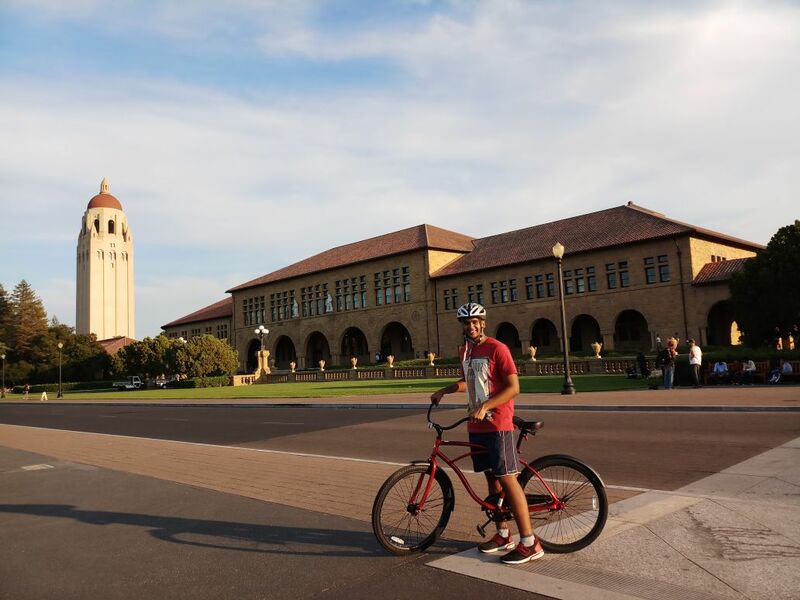 Here we bring you the experience of Someshwar Gowda (BT-CE ’17), who cracked this grueling process to get an admit into Stanford’s Sustainable Design and Construction – Management program. Please tell us about yourself and about your graduate program you are enrolled in and the scope it has to offer in the future. I am Someshwar, currently a 1st year M.S. candidate in the Sustainable Design & Construction – Management program at Stanford University. I did my undergrad (B.Tech) in civil engineering at IIT Madras, and joined Stanford straight after graduating in 2017. My program focuses on the “why” and “how” of building/maintaining/repairing infrastructure projects. It’s a coursework-only program so I’m not expected to do research, but there is an option to convert to an M.Eng (Engineer) or a Ph.D. program if I develop research interests by my 2nd year. I will be joining the construction industry post-graduation in the area of project management for sustainable infrastructure projects, and hopefully get to work on some critical infrastructure across the world. After maybe a decade I see myself well-established in the construction industry with some valuable experience working on projects across sectors. I aspire to someday own my own business which provides valuable consultation to Indian construction firms in their efforts to develop critical Indian infrastructure. How are the resources and facilities for research in sustainability at Stanford? How is the student culture there and is it supportive to pursue different interests like music, art etc? Stanford is probably one of the best places when it comes to resources and facilities to aid students in pursuing their research interests. Stanford has a huge private endowment, a lot of which goes towards making these resources accessible to any student who needs them. The student community is amazing. It’s in a lot of ways a mini-world, with people from all sorts of backgrounds across the world. All of the courses I’m taking this quarter, for example, has students from 6 continents, with 0-10+ years of work experience. The best part is that everybody is equal, no one is more or less important, and it’s super easy to meet new people and make friends. It’s as diverse as it can get, but at the same time, one tightly-knit community. The faculty-student relationship is also quite different. I refer to all my professors by their first name, which would be pretty crazy back at IITM personally. Stanford also has almost infinitely many student groups for non-academic pursuits – from jazz to salsa to baking to partying. There’s something in store for everyone. There’s also the Bechtel International Center especially for international students which provides an immense amount of support and resources to international students. Finally, the Stanford India Association caters to the Indian community here, and organizes events including a weekly Indian dinner. When did you decide to apply for further studies? When is the ideal time to start thinking and preparing for it? I decided to apply at the beginning of my 7th semester for graduate studies, mainly because I did not find what I was looking for in placements. I’m probably not the best person to ask for research fundaes, but I think it is important to like what you want to pursue research on, rather than just doing research for the sake of it. As of now, I’m not really inclined towards research, but as I learn more and more everyday, I might change my mind if I find something that fascinates me. Probably the end of the 6th semester is the best time when you should decide on whether to apply for further studies or not, because you have enough knowledge and information in order to make a well-informed decision. But there’s no strict rules, most deadlines for grad applications are during gap between the odd and even semester, so there’s a time cushion to work with. How did you make the choice between placements and applying for graduate school? How much of an effect does a CGPA have in helping your application? When I decided to apply for grad studies, I was pretty sure that it was what I wanted. Hence, I didn’t sit for placements, but I did apply to one company just to feel the placement season environment. A high CGPA is always helpful, but not a necessity. I was below 8.5 with everything from S to D on my transcript while applying, I hope that statistic encourages a lot of people reading this. From what I understand, an application is about you as a whole, and grades are only a important part of it, and the ones deciding your fate consider the whole package. I’m sure people know of cases where people with near perfect grade got rejected, simply because they did not match what the admissions committee though would be a good fit for that program. So basically research your programs of interest, try to make sense of what they are looking for, and work on making them believe that it is YOU they’re looking for. Anything and everything which you believe reflects your personality and makes is relevant according to me. If you think that any of your extra-curriculars display a quality in you that will help you in succeeding in your program, it is relevant. For example, in my case, I was part of the I&AR international relations team, and had done volunteering through AIESEC and some other organizations. Since I felt that any project manager (which my program works towards) must communicate effectively and work with a diverse set of people, these extra-curriculars seemed to justify that, and hence I mentioned them in my SoP and CV. Can you tell us about the other schools you applied to? 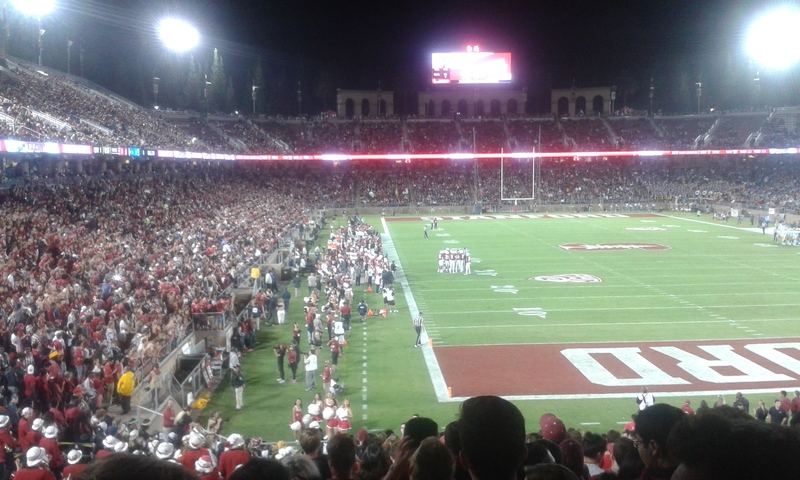 How did you choose to join Stanford among your options? Among other applications, I had applied to UC Berkeley, TU Delft, Georgia Tech and Stanford out of which I got an admit in Georgia Tech, TU Delft, University of Washington, UIUC and Stanford. I chose Stanford mainly because of its location, the exposure one gets, and the entrepreneurial reputation the Stanford community has. It’s completely okay not to be sure what you want to do. Can you walk us through application process through Stanford. How did you identify your recos? Does work experience hold any importance? What is the relevance of SOPs, and how does one write ‘the perfect SOP’? I decided pretty late to app, so recos were a hassle for me. I got one recommendation from my BTP guide, and the others from professors under whom I had done a good amount of coursework with decent grades. Work experience is important, but not crucial. It ultimately depends on why you want to apply to grad school. For me, I felt that I was not ready enough to start working in my area of interest, and felt that I needed some more clarity and perspective. The reasoning behind the choice to go to grad school immediately after undergrad, after working for a while, or never, is completely subjective, and must be made by only you. This reasoning should also reflect in your SoP. Adding a personal touch to it, and knitting together relevant life events which made you decide to apply to the program should be fluidly and comprehensively shown through the SoP. Other parts of the application are also important. GRE/TOEFL and CGPA, in my opinion, are mostly filters (a really low score may get you rejected without further consideration). Projects/internships and publications are really important as they show that you understood and applied what you learnt, and that you are actually interested and willing to work in your academic area. For Ph.D. programs, publications become extremely important, and in some cases may make or break the deal. Once you set up an account on their admissions website, you are required to upload the above documents on their portal, and also answer some other questions in the online application (about diversity, your personal background, interests etc.). After finishing all requirements, you pay the application fee and submit the application. Results are usually announced from late February through mid-April, with all relevant details on what to do next. It’s completely okay not to be sure what you want to do. If you did, life would be perfect. But it’s not. So fool around, try new things, find out what you like and don’t like, prioritize your interests, and pursue them whole heartedly. This article is part of the series ‘Grad Guru’ focussed on shedding light on the process of applying to one of the most coveted grad programs in the world. Follow us on Facebook to get constant updates about our blog.